Do you hate your smile? Do you wish you could change it, replacing your teeth with a white, bright set of teeth? In a way, you can do this with dental veneers. Whether you realize it or not, cosmetic dental procedures have come a long way in helping improve the appearance of smiles. 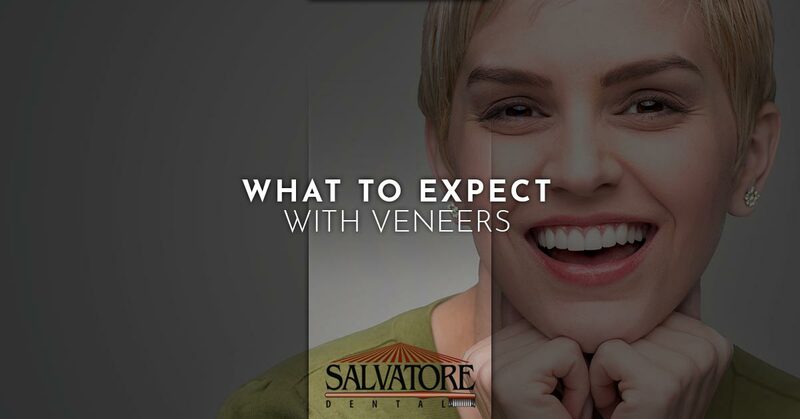 At Salvatore Dental, we offer simple, yet effective, dental veneers. We help give your teeth a new look. In this post, we will share what you should expect from a dental veneer procedure from your dentist in Malta. Want to learn more? Continue reading! As customized shells that fit over your teeth, dental veneers are made of composite resin or porcelain. At Salvatore Dental, we offer porcelain veneers to our patients. The cosmetic dental procedure is non-invasive that offers long-lasting results for years to come. Veneers are stain resistant and durable. They cover teeth that are misshapen, discolored, or even chipped, restoring one’s smile to a bright, white row of teeth. What’s The Dental Veneer Process? Pre-Veneer Visits – Plan to make one to three dental visits before you have your veneers bonded to your existing teeth. These visits can include consultations, preparation, and more. Patient Preparation – Your dentist of choice will prepare your teeth to receive the veneers. This includes shaving a few millimeters off the teeth that will be receiving veneers for a better bonding during placement. Veneer Placement – Once your veneers are ready, your dentist will check to make sure they fit properly on your existing teeth. The dentist will then make an last minute adjustments to your enamel before bonding the porcelain shells to your teeth. Post Veneer Appointment – A few weeks after your veneer placement, you will go back in to see your dentist to make sure the placement was successful, answer any questions you have, and recommend any future procedures to enhance/preserve your new smile. The short answer is it depends. At Salvatore Dental, we work with each patient to get them exactly what they want. Although our prices are relatively the same for the veneers and the treatment, each patient will need something unique to their oral health in order to get veneers. In most cases, custom-made porcelain veneers are more expensive than composites. The benefit to getting veneers, however, is that they can last up to between 10 and 15 years if maintained properly. We understand if you don’t like your smile. You’re not alone. Thousands of Americans each year commit to various cosmetic dental procedures to enhance their smiles. Not only do they look better after the treatment, but they also reap the benefits of having a bright, white smile. If you’re looking to get porcelain veneers, give us a call today to schedule an appointment.